Opt for something new and different wearing the Marchesa™ Small Mismatch Earrings. Gold-tone plated brass metal ear cuff and stud with glass crystal and faux pearl accents. Ear cuff features post back and upper clip closure. Stud features post back closure. 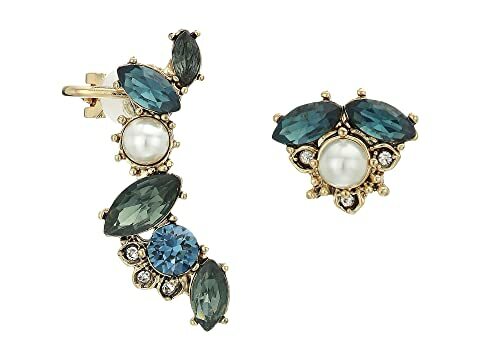 We can't currently find any similar items for the Small Mismatch Earrings by Marchesa. Sorry!